Super League are delighted to announce that British rock band Blossoms will headline the pre-match and half-time entertainment at the 2018 Betfred Super League at Old Trafford on Saturday, October 13 (6.00pm). The Stockport five-piece will perform at the biggest night in Super League and treat the crowd to a selection of their greatest hits such as ‘Charlemagne’, ’There’s A Reason Why (I Never Returned Your Calls)’ and ‘I Cant Stand It’. 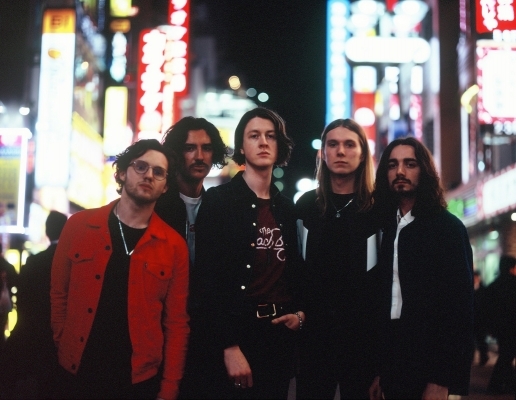 Blossoms said, “After attending the Challenge Cup Final last Saturday, we’re all looking forward to playing a few tracks at one of the biggest dates in the sporting calendar. It will be a genuinely great day out." Blossoms have previously played at a number of UK festivals including Glastonbury, TRNSMT, Reading & Leeds and Neighbourhood Weekender, as well as performing at international festivals such as Benacassim, Lollapalooza and Sziget. The band have also supported the likes of Noel Gallagher’s High Flying Birds, The Stone Roses, Kasabian and Liam Gallagher and are set to embark on a European tour at the beginning of October before heading out on a sold-out UK tour in December.